Cookie Cutter - Bow Ribbon 2.75"
Homepage >> Cookie Cutter - Bow Ribbon 2.75"
Perfect for using as a pastry cutter or biscuit cutter. Make wonderful sweet cookies, fabulous scones or deliciously savoury pastries. Measures approximately 2.75" x 2". 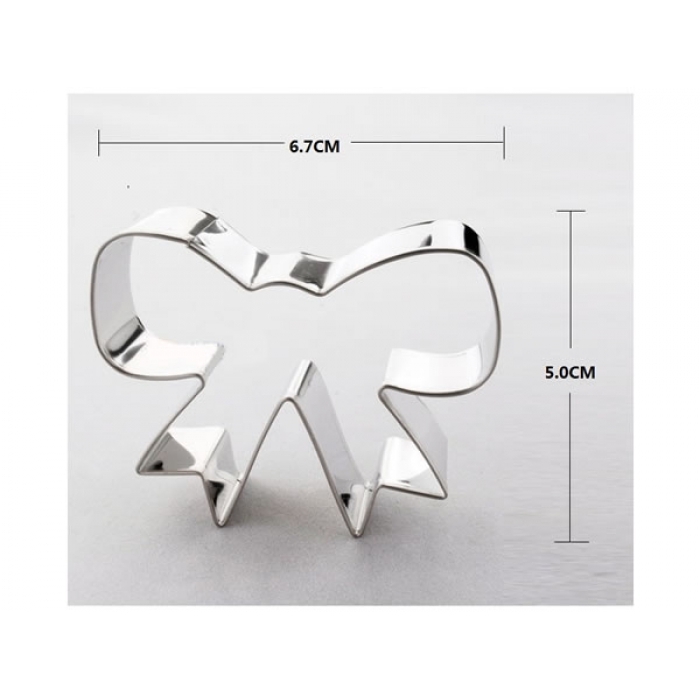 COOKIE CUTTER - Mini Holly Leaf 1.75"
Cookie Cutter - Super Hero Badge (or Diamond) 3.54"